Last winter’s flu season, one of the most severe in years, led to almost 80,000 deaths and almost a million hospitalizations in the U.S., according to estimates by the Centers for Disease Control and Prevention. That’s a significant increase over the agency’s previous highest estimate for flu deaths—of about 56,000 deaths during the 2012 to 2013 season. Low vaccination rates may have been a factor. The CDC says that during the 2017 to 2018 season, just 37 percent of adults got a flu shot, a 6 percentage point drop from the previous season. But more people appear to be getting vaccinated this year. A new CDC report suggests that nearly 45 percent of adults and almost 46 percent of children 6 months and older have already gotten their flu shots for this season. How is the current flu season shaping up? Just 2.2 percent of doctor’s office visits were for flu-like illnesses during the first week of December, which is slightly lower than the 2.7 percent of office visits during the same week last year. Still, experts note that flu is extremely difficult to predict. So if you haven’t gotten your flu shot yet, you should get one as soon as you can—it’s the best way to protect yourself, says U.S. Surgeon General Jerome Adams, M.D., M.P.H. Here’s what you need to know. Why Was Last Flu Season So Severe? 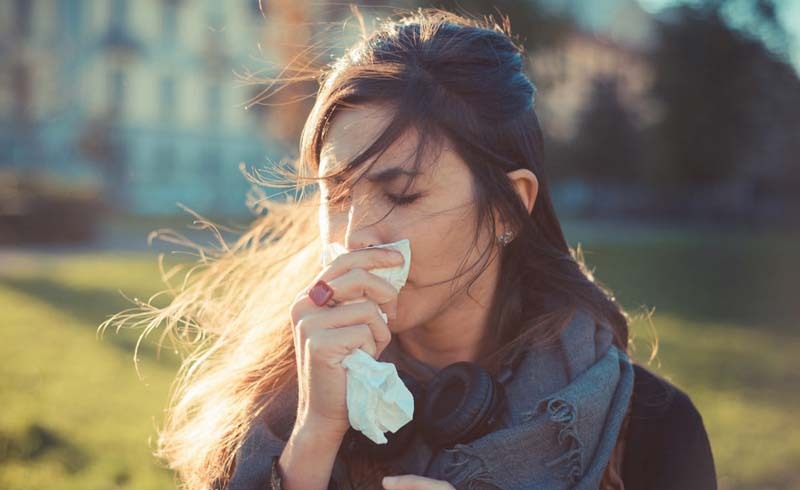 Different strains of the flu tend to predominate in different years of flu season. During the 2017 to 2018 season, a virulent strain of influenza called H3N2 was mostly responsible for the high number of flu cases. The strain is associated with more cases of the flu, more hospitalizations, and more deaths than other strains, according to Dan Jernigan, M.D., M.P.H., director of the CDC’s influenza division. The flu vaccine was also only about 24 percent effective at preventing infections from H3N2 last year—but 40 percent effective at preventing flu overall. This season, although it’s still early, data from the CDC suggests that a different strain of influenza, H1N1, has been more common so far. For almost everyone over 6 months of age, getting vaccinated against the flu is the most effective way to safeguard yourself and those around you, experts say. If you haven’t gotten your flu shot already, the CDC recommends doing so soon. Flu season usually peaks sometime between December and February, and it takes about two weeks after receiving the vaccine for immunity to fully kick in. This absolutely includes pregnant women—only about half of whom received flu shots during the 2017 to 2018 season, according to data from the CDC. The flu can be especially dangerous for pregnant women because their immune systems don’t work the way they normally do, says Laura Riley, M.D., an obstetrician and the gynecologist-in-chief at NewYork-Presbyterian/Weill Cornell Medical Center, who spoke at a media briefing in September. “Pregnant women who get the flu do very poorly,” she says, and notes that the flu shot is safe for expecting mothers. Even though last season’s vaccine was imperfect, you should still get your shot each year. “Some effectiveness is better than no effectiveness,” Adams says. And even if you get the flu shot but still get the flu later, you’re less likely to become seriously ill or be hospitalized. Most children who die from flu are unvaccinated. 1. Because dry air helps the flu virus live longer, consider using a humidifier to keep humidity at 30 to 50 percent. 2. Avoid touching your nose and eyes, to reduce the chance of transferring any virus you might have on your hands. 3. Wash your hands often. Use soap and water, and rub hands together for at least 20 seconds. When soap and water are not available, use a hand sanitizer with at least 60 percent alcohol. Rest and keep yourself hydrated. 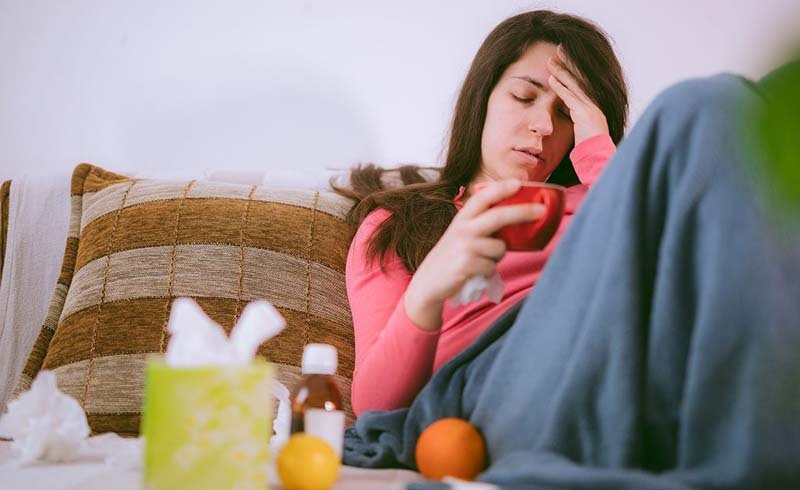 If you have fever, headache, and achiness, opt for acetaminophen (Tylenol and generic), ibuprofen (Advil and generic), or naproxen (Aleve and generic). Ask your doctor for a prescription for an antiviral medication right away if you develop a fever, cough, and body aches, and you’re 65 or older, obese, or have a compromised immune system or a chronic health concern. Your pediatrician might recommend antivirals for children who have severe flu or a chronic health condition, such as asthma, diabetes, or heart or lung disease. An antiviral medication can shorten the flu by one to three days, ease symptoms, and cut the risk of complications, but only if you start it within 48 hours of getting sick. Avoid cough suppressants (flu coughs usually go away on their own) and antibiotics, which don’t work for viral infections and can contribute to antibiotic-resistant bacteria. See your doctor if your flu symptoms start to improve but then fever returns and your cough worsens, or if you experience difficulty breathing, pain in the chest or abdomen, dizziness or confusion, or severe or persistent vomiting.